caa.reviews invites nominations and self-nominations for individuals to join its Council of Field Editors, which commissions reviews within an area of expertise or geographic region, for a term ending June 30, 2019. An online journal, caa.reviews is devoted to the peer review of books, museum exhibitions, and projects relevant to art history, visual studies, and the arts. 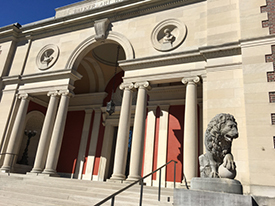 The journal seeks field editors to commission reviews of books in museum studies and of exhibitions on the West Coast, in the Midwest, and in Europe. Candidates may be artists, art or design historians, critics, curators, or other professionals in the visual arts; institutional affiliation is not required. Field editors select content to be reviewed, commissions reviewers, and reviews manuscripts for publication, working with the journal’s editor-in-chief, editorial board, and CAA staff editor as necessary. Field editors for books are expected to keep abreast of newly published and important books and related media in their fields of expertise, and field editors for exhibitions should be aware of current and upcoming exhibitions (and other related projects) in their geographic regions. The Council of Field Editors meets annually at the CAA Annual Conference. Candidates must be current CAA members and should not serve concurrently on the editorial board of a competitive journal or on another CAA editorial board or committee. Nominators should ascertain their nominee’s willingness to serve before submitting a name; self-nominations are also welcome. Please send a statement describing your interest in and qualifications for appointment, a CV, and your contact information to: caa.reviews Editorial Board, College Art Association, 50 Broadway, 21st Floor, New York, NY 10004; or email the documents to Deidre Thompson, CAA publications assistant. Deadline: January 15, 2017. Hollis Clayson reads The Work of Art: Plein-air Painting and Artistic Identity in Nineteenth-Century France by Anthea Callen. The “impressive book, chockablock with technical information,” views “the visible painted mark” as not only an “index of an artist’s working methods and tools, but also the inescapable sign of the painter’s aesthetic, social, and institutional allegiances.” Read the full review at caa.reviews. Claire Grace discusses Taryn Simon: Paperwork and the Will of Capital, an exhibition hosted at Gagosian Gallery, New York. Grace focuses on twelve sculptures that feature plant specimens yet spring “from the world of geopolitics and trade.” Although sculpture “is a departure for Simon,” the series “extends the research-driven, post-documentary axis of her photography-based practice.” Read the full review at caa.reviews. James Housefield reviews Ruth E. Iskin’s The Poster: Art, Advertising, Design, and Collecting, 1860s–1900s. This “engaging and readable book” “rethinks the role of print media in the creation and transformations of modern art.” Arguing “persuasively for renewed examination of posters” in visual culture, the volume “contributes to the history of modern art, writ large.” Read the full review at caa.reviews. Jessica N. Richardson examines From Giotto to Botticelli: The Artistic Patronage of the Humiliati in Florence by Julia I. Miller and Laurie Taylor-Mitchell. “A long-awaited study,” the book “traces the entire span of Humiliati art at a single location.” It “provides another model for breaking down period boundaries and envisaging images and objects as communicating through the centuries.” Read the full review at caa.reviews. Melanee C. Harvey reviews The Divine Comedy: Heaven, Purgatory and Hell Revisited by Contemporary Artists, an exhibition catalogue edited by Mara Ambrožič and Simon Njami. The volume expands on three exhibitions—each dedicated to a realm of the afterlife—and illuminates “the potential aesthetic and conceptual configurations in contemporary art that undermine parochial notions of African art.” Read the full review at caa.reviews. Danielle Carrabino reads Faith, Gender and the Senses in Italian Renaissance and Baroque Art: Interpreting the Noli me tangere and Doubting Thomas by Erin E. Benay and Lisa M. Rafanelli. Comparing the two religious narratives, the authors combine “feminist theory and notions of reception” to argue that gender dictates the way Mary Magdalene and Thomas “experience the resurrected body.” Read the full review at caa.reviews. Allison Myers discusses International Pop, a traveling exhibition organized by the Walker Art Center. The “ambitious show” aims to “overturn the idea of Pop as a primarily American and British movement by redefining it as a fluid sensibility with international reach.” At the Dallas Museum of Art, the layout “underscores the exhibition’s stakes in the conversation on global art history.” Read the full review at caa.reviews. This summer I was invited by two alumni of the CAA-Getty International Program—Karen von Veh and Federico Freschi, both from the University of Johannesburg—to attend the 31st Annual Conference of the South African Visual Arts Historians (SAVAH). In the first five years of the CAA-Getty program, seven art historians from South Africa have participated—the most from any single country. Their strong presence at CAA’s Annual Conferences suggests a robust community of scholars, and I was eager to witness it firsthand. In late July I flew to Johannesburg, where I met up with Rosemary O’Neill, associate professor of art history at Parsons the New School of Design and chair of CAA’s International Committee, who was also participating in the conference. On the day we arrived there was an intense thunderstorm followed by large hail. Our hosts, Karen von Veh and her husband Bengt, assured us that this was not normal for a Johannesburg winter. By the next day the sun had come out, and it remained sunny and pleasantly cool for the rest of our stay. The weather may well serve as a metaphor for the abnormal state of affairs in South Africa: unusually stormy one day, seemingly calm the next. Twenty-two years after the end of apartheid, the country, and especially its university system, is in an enormous state of flux. Since March 2015, students have militated against South Africa’s twenty-three government-funded universities in two related protests. The first was Rhodes Must Fall, which demanded the removal of a sculpture of Cecil Rhodes, the embodiment of British racist colonial imperialism, from the University of Cape Town (UCT), and included the broader demand for decolonizing the university system, including curricula, language of instruction, and workers’ rights. In October 2015 came Fees Must Fall, prompted by the announcement of a steep increase in fees at the University of Witwatersrand. 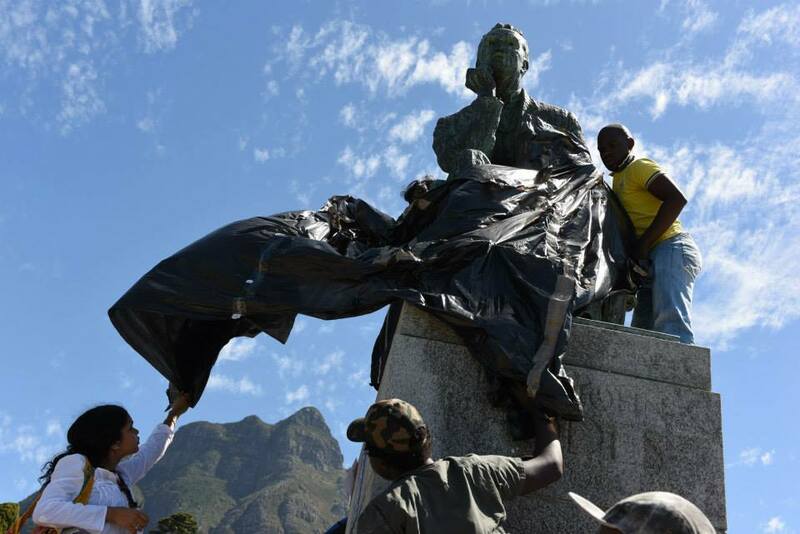 Both movements have had successes: the UCT sculpture of Rhodes was removed, and many other public symbols of colonial rule have been taken down or defaced; students at Rhodes University persuaded authorities to consider renaming the school; and the government announced there would be no tuition increase for 2016. (This issue is being debated again, as increases for 2017 have elicited renewed protests.) These events are taking place at the same time that the government is reducing financial support for the universities. This was the context for SAVAH’s Annual Conference, as approximately sixty professors of art history, visual culture, and studio art gathered at the University of Johannesburg for three days of papers and discussion. Organized by Federico Freschi (executive dean), Brenda Schmahmann (research professor), and Karen von Veh (associate professor), all from the Faculty of Art, Design, and Architecture at the University of Johannesburg, the conference was titled “Rethinking Art History and Visual Culture in a Contemporary Context.” The ongoing crisis in higher education charged the sessions and discussions with particular intensity. The subjects addressed, whether historical, pedagogical, or political, were not chosen solely for theoretical considerations; speakers were seeking practical solutions to the immediate challenges they face as scholars and teachers in post-apartheid South Africa. 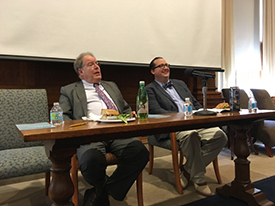 An underlying theme of the conference—how can art history be relevant and useful to scholars and students at this charged moment in time?—was a subtext in Steven Nelson’s eloquent keynote address. In a discussion of works by Houston Conwill, Moshekwa Langa, and Julie Mehretu, Nelson—a professor of African and African American art and director of the Center for African Studies at the University of California, Los Angeles—considered how the use of mapping and geography by these artists has reshaped our understanding of African ancestry, notions of diaspora, and urban spaces. The weaving of past and present, continental Africa and the African diaspora, and art-historical analyses of traditional forms and new media exemplified the ongoing relevance of the art-historical discipline to understanding contemporary art and culture. Session topics during the two-day conference ranged from “International Curatorial Practices” to “The Politics of Display in South Africa” and “Decolonizing Education (Parts I and II)” to “Postcolonialism beyond South Africa.” Alison Kearney, a lecturer at the University of the Witwatersrand, delivered a paper titled “Art history is dead—long live art history!” in which she explored the deeper meaning of decolonizing the university, beyond the tokenistic call for more black authors and artists. This decolonization will lead to “the inevitable end of art history” and a return to the work of art and an interdisciplinary approach as a “deliberate means of destabilizing a single disciplinary gaze.” Fiona Siegenthaler, a senior lecturer at the Institute for Social Anthropology, Universität Basel, compared the call for decolonization in South Africa to the one in Uganda. Because the population in Uganda is overwhelmingly black, the call for decolonization has little to do with the racial profile of its teachers or students. Rather, the country is focused on rewriting curricula to be more relevant to their students’ lives. Both countries, she stated, are skeptical about the hegemony of neoliberalism as a form of neocolonialism, on the one hand, and the need for access to international contemporary art, art institutions, art markets and funding organizations, on the other. Several speakers explored alternative approaches to current studies in South African art history. Lize van Robbroeck, from the University of Stellenbosch, spoke about “settler colonial studies” and a multinational research project she is part of that examines settler life in five former British dominions: New Zealand, South Africa, Canada, Australia, and the United States. The cultural, economic, and political circumstances in each of these colonies, in spite of particular dynamics in each, created comparable artistic products in the early to mid-twentieth century. The group’s research suggests that the demands to establish national art canons in each of these locations led to a corresponding art-historical neglect of the striking cross-national similarities in the art produced by artists in each place. The conference ended with two papers from other humanities disciplines. The first one, by Brett Pyper from the University of the Witwatersrand, was about curating indigenous musical performances at the National Arts Festival in Grahamstown. Leana van der Merwe, of the University of Pretoria, delivered the second, which was about an “African” feminist philosophy of art. Many of the conference papers will be published in an upcoming issue of De Arte, a peer-reviewed South African journal on visual arts, art history, and art criticism. The SAVAH conference was not the only significant art event taking place in Johannesburg during my visit. The meetings coincided with a historic exhibition held downtown at the Standard Bank Gallery: the first-ever presentation on the African continent of paintings and works on paper by Henri Matisse. Juxtaposed against the topic of the conference—rethinking art history in a contemporary context—this major exhibition provided another bellwether of the state of art history in South Africa. The absence of Matisse exhibitions in the entire continent until now can partially be explained by practical reasons related to insufficient resources (shipping and insurance costs, museum-quality exhibition spaces, etc. ), but it is also likely due, in part, to a reluctance or lack of interest on the part of European and American collections and African-based organizers to bring the artist’s work to African audiences, in spite of Matisse’s great interest in African art. During my visit to South Africa, I was struck by the lack of Western art displayed in the museums, with the exception of a small collection on view at the National Museum in Cape Town. Little access to this art is yet another challenge for professors of art history, and it must relate to the absence of Matisse exhibitions as well. Why should South Africans be interested in his work if, for many, he is an unknown, dead white European artist? 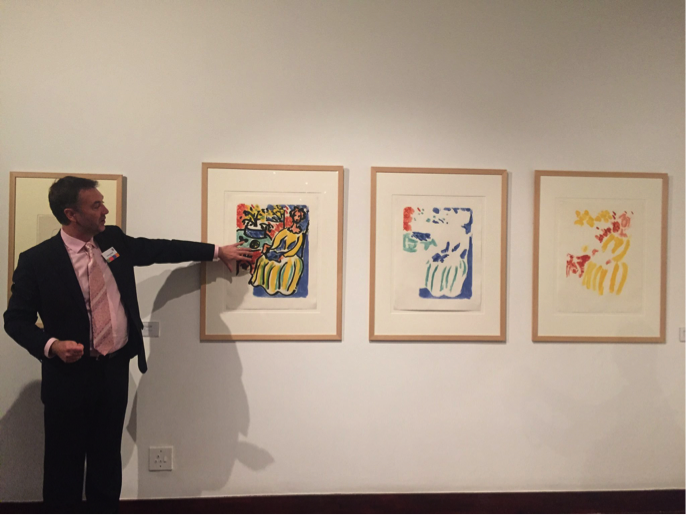 There is an audience for Matisse in South Africa, including the well-educated professional class and an active, sophisticated group of collectors who support a growing number of commercial galleries. There is also a vibrant community of artists in South Africa whose work characteristically draws on indigenous artistic traditions as well as global art. In spite of the limited audience—or perhaps because of it—a Matisse exhibition in Johannesburg is an important event, a major step toward broadening an appreciation of global art and its history. Patrice Deparpe, Director of the Musée Matisse in Le Cateau-Cambrésis, in the exhibition Henri Matisse: Rhythm and Meaning, downloaded from website of the Embassy of France in South Africa. To open the SAVAH conference, a lecture, gallery talk and reception for the exhibition was held the evening before the conference proceedings began. Rosemary O’Neill presented a thought-provoking lecture titled, “Henri Matisse: Fluid Memory, Embodied Signs.” Her paper considered aspects of Matisse’s work in relation to the construct of memory, time, and intuitive expression, as well as the influence of the ideas of philosopher Henri Bergson. 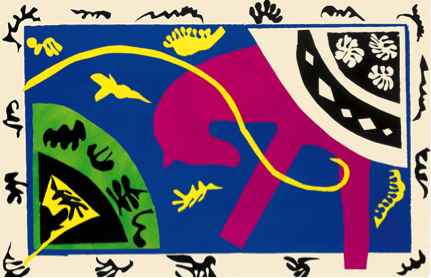 In discussing Jazz, O’Neill identified ways in which his Tahitian memories from 1930, as well as his own cultural context and artistic trajectory, resulted in the realization of the innovative process and expression soon evident in Matisse’s late cut-outs; their importance in relation to a revival of the decorative impulse in postwar France; and their analogous relationship to poetic and musical phrasing—that is, a system of ensemble signs—as articulated in the writings of the poet Louis Aragon. Freschi’s subsequent gallery talk elaborated on Matisse’s exploration of African modes of representation in his early works; then, calling special attention to the series of prints that comprise the artist’s book, Jazz, he emphasized the influence of his travel to Tahiti and the archipelago islands that appear in his use of patterns and rhythms, ephemeral materials, and a conceptual rather than perceptual approach to image making. For an American visitor, the conference and exhibition provided much food for thought. It was impossible to ignore similarities in the dissatisfactions of university students in both countries. Like their South African counterparts, U.S. students are demanding a greater diversity of voices in the curriculum, on the faculty, and in the administrations of colleges and universities. In both countries, growing complaints about racial inequality and ties to apartheid or slavery have resulted in important, if mostly symbolic, changes. At about the same time that South African authorities were removing sculptures of Cecil Rhodes and suspending tuition hikes, leaders at Georgetown University announced efforts to make amends for its complicity in the nation’s slave trade, including preferential admissions for descendents of slaves sold in 1838 by Maryland Jesuits to stave off the college’s bankruptcy. Other schools, such as Brown University, Harvard University, Emory University, and the University of Virginia, have made their historical ties to slavery public and announced plans such as renaming buildings, creating racial justice programs, and erecting memorials acknowledging their ties to the transatlantic slave trade. From my vantage point as a participant at the SAVAH conference, the most striking similarity between the two countries was the paucity of people of color among art history professors and students. This was the great unspoken problem at the conference, evidenced by the prevalence of white faculty and students at a gathering focused on decolonization, art and activism, and keeping art history relevant. There were a small number of people of color at the conference among both speakers and attendees, but much like at a CAA Annual Conference, the dominant color was white. The answer is not, as some radical South African students demand, to rid the curriculum of all European content, or to replace all white professors with black ones; rather, it lies both in a multiplicity of voices and a questioning of assumptions rooted in the foundational texts of the field. Solving this problem may be the greatest challenge to art history’s relevance, even as progress is made alongside the slow path to racial equality. South Africa is sometimes called a Petri dish for studying race relations. Only twenty-two years away from government-enforced racism, the country’s efforts in building a democratic, racially equal society offer many lessons about effective and less effective ways to accomplish radical change. The art historians I met in Johannesburg have created a vital community in which to study and struggle with these lessons. They are keeping the discipline of art history alive and relevant to the cultural and political challenges they face. But how they do it may provide important guidelines for scholars in the United States. In spite of numerous differences between the two countries—especially in scale, resources, and history—both South African and U.S. art historians are grounded in the same antecedents. How to retain the strengths of a discipline born in nineteenth-century Germany while stretching its geographic parameters to include all cultures is a challenge we all face. Comment on this article in the Diversity in the Arts community on CAA Connect. 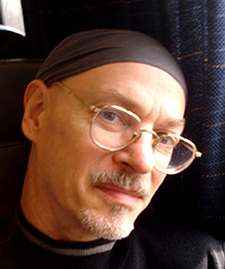 Mark Staff Brandl. Remise Kunsthalle, Weinfelden, Switzerland, August 20–September 10, 2016. Before Tomorrow: Eine Inszenierung der Postmodernen Kunst. 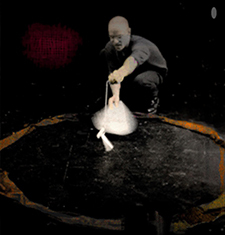 Book project, performance-lecture, and painting-installation. Virginia Maksymowicz. SACI Gallery, Studio Arts College International, Florence, Italy, September 5–October 16, 2016. Architectural Overlays/Sovrimpressioni Architettoniche. Photography, drawing, printmaking, and sculpture. Blaise Tobia. ARCI Arcobaleno, Rome, Italy, September 12–October 8, 2016. La Scomparsa: The Disappearance of Italy. Ruthann Godollei. Soo Visual Arts Center, Minneapolis, Minnesota, September 10–October 22, 2016. Herd Mentality: New Work by Ruthann Godollei. Printmaking and installation. Jason Hoelscher. 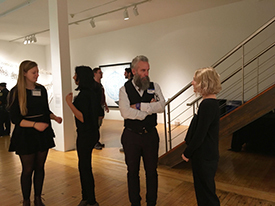 Hoffman LaChance Contemporary, Saint Louis, Missouri, September 2–24, 2016. Iconographic Overdrive. Painting. Linda Stein. Holter Museum of Art, Helena, Montana, September 6–December 30, 2016. The Fluidity of Gender: Sculpture by Linda Stein. Sculpture. Linda Stein. Alverno College, Milwaukee, Wisconsin, August 23–October 1, 2016. Holocaust Heroes: Fierce Females; Tapestries and Sculpture by Linda Stein. Tapestry and sculpture. Theresa Antonellis. 42 Maple Contemporary Art Center, Bethlehem, New Hampshire, October 7–30, 2016. One Breath One Line. Breath-generated drawing. Colleen Fitzgerald. Foster Gallery, Dedham, Massachusetts, September 12–October 14, 2016. and over again. Photography. Angela Fraleigh. Everson Museum of Art, Syracuse, New York, September 24–December 31, 2016. Angela Fraleigh: Between Tongue and Earth. Painting and sculpture. Sharon Louden. Morgan Lehman Gallery, New York, September 8–October 8, 2016. Windows. Painting. Michael Rich. Old Spouter Gallery, Nantucket, Massachusetts, July 29–August 10, 2016. All the Dawns of Summer. Painting. Linda Stein. Museum of Biblical Art, Dallas, Texas, October 26–December 16, 2016. Holocaust Heroes: Fierce Females; Tapestries and Sculpture by Linda Stein. Tapestry and sculpture.